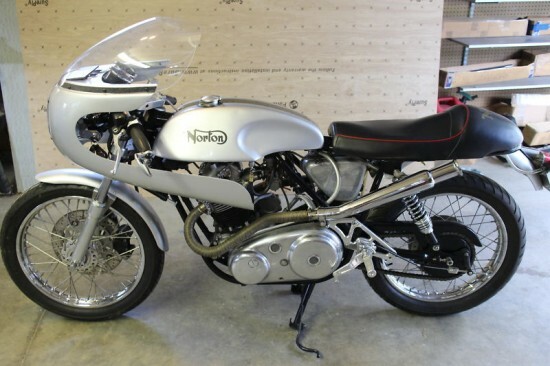 This is a really beautiful Norton Commando in prime condition. I typically prefer the look of unfaired bikes from this period, but you can’t argue with the quality on display here: take a look at the primary cover and that beautiful bodywork! To many, British parallel twins epitomize the vintage bike experience and capture the true spirit of the “Ton Up Boys” that were the true cafe racers: Honda CB’s with Clubman bars and chopped fenders are undeniably cool, but they really came along much later and had nothing to do with that scene originally. 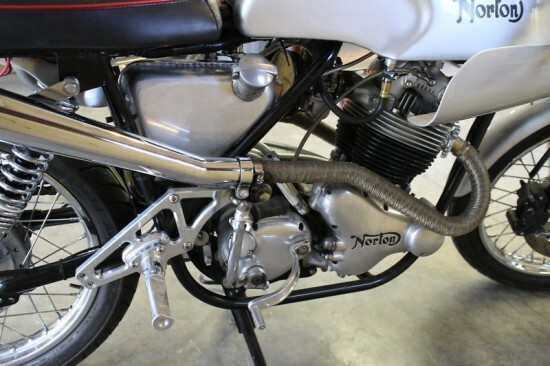 It was the singles and parallel-twins from Triumph, Norton, and BSA that really set the tone for that style. 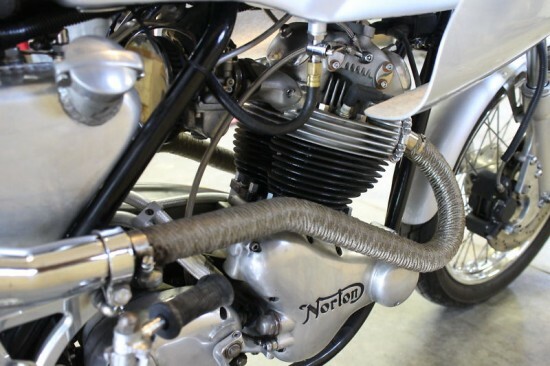 And while Triumph has undergone a transformation into a company with one foot in the future and one firmly in the past, Norton still languishes as a boutique manufacturer of expensively vintage machines. Hopefully one day, they will be dragged screaming into the 21st century. This bike is almost always a one-kick starter. Sometimes two if it is first ride of the day. 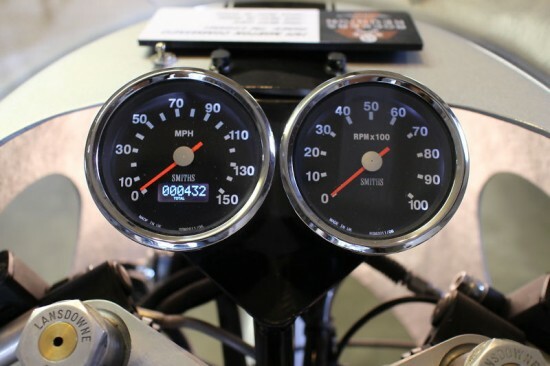 Idles wonderfully and quick response and horsepower. Frankly, the ride on the bike is superb and I wouldn’t change a thing. It is one of the most dependable Nortons on the road. One would certainly hope seeing as how just about everything has been replaced. The riding position on the bike is “committed”. It is long and low. Great for hard riding and banging through the turns but around town you will want to make sure you have a padded left forearm on your jacket because you will undoubtedly use it to prop yourself up off the gas tank! The bike shifts great and the hydraulic clutch makes shifting so much easier now that the heavy cable actuated clutch of old is gone. 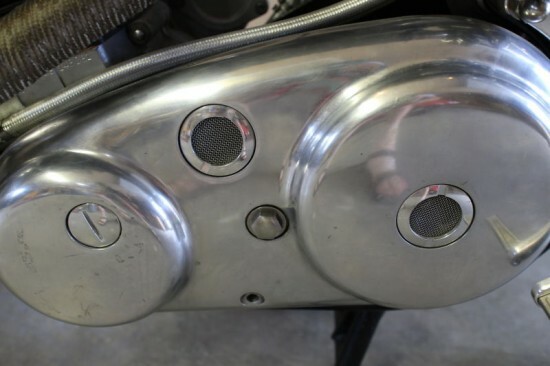 Shift pattern is reversed from the original Norton, which makes it standard to most other bikes. In other words, shift pattern on this bike is one down/ three up. In total, this Commando has taken home six awards. Best in Show twice. Best Cafe Racer twice. Best Vintage Custom once. Best Modified Street once. I want to stress I did not build this bike up to be a trailer queen and it isn’t. I ride this bike. I ride it almost daily in the Summer. I do not spend countless hours polishing the aluminum. If it gets dirty I am OK with that. I take care of this bike and make sure it is always in top riding shape but I do not obsess over dust or dirt. So to that end, there are a few scratches here and there on the bike. Nothing I would consider major. The paint bubbled a bit around the filler neck as gas got in under the paint. I’ve since added a rubber sleeve around the neck to keep that from happening again. This is a usable bike that’s clearly meant to be ridden, not a polished-daily trailer-queen: note the subtle, possibly sacrilegious but probably dead-accurate digital Smiths instruments and the beautiful, but somehow slightly too modern rearsets. Maybe not period-correct, but reassuring, since it’s clear it was built with useability in mind, not posing. Although it obviously will do that as well. All-in-all, a very nice, completely turned-out bike. Bidding is up over $6,700 and the reserve has not been met. That’s no surprise and I’d expect bidding to get more lively as the clock winds down on this one.